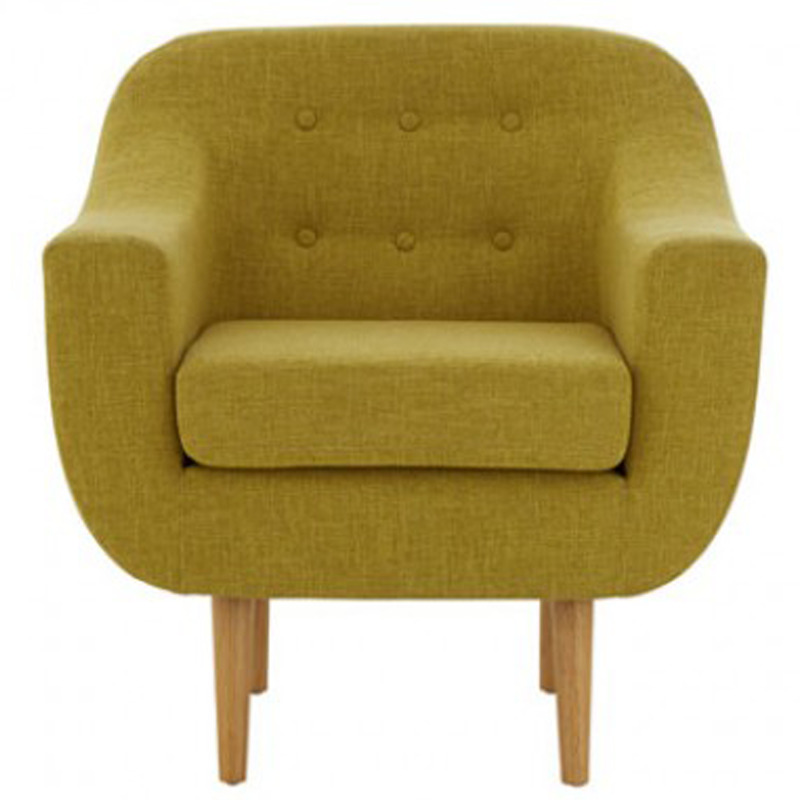 A beautiful new addition to our extensive range of excellent chairs comes another Odense chair. This chair features a low profile backrest complete with Stitched button detailing. The six button add an extra aesthetic appeal to the chair, along with the lovely colour and angled wooden legs it makes it the perfect addition to your lounge and living room.